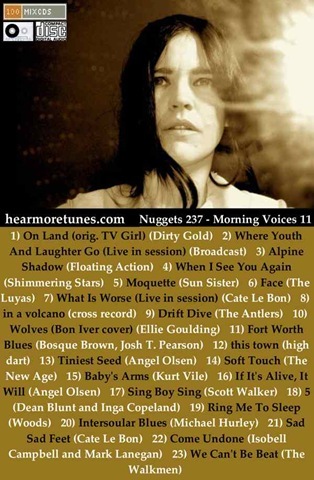 Morning voices number 11, fancy that. I thought I listened to more grungy lo-fi than anything else, but these playlists give lie to that thought. Cate Le Bon has an excellent Nico’esque voice. She’s gonna be huge. Not all tracks up yet, soon.